Thanks for sharing the pattern. I plan on making some as a birthday gift. 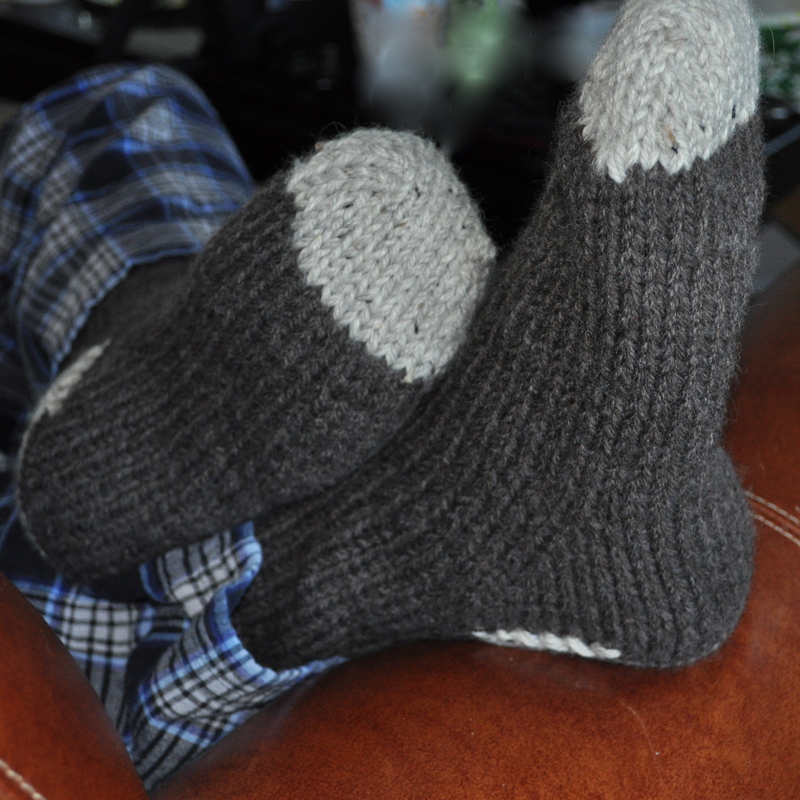 These socks look great – I’ve already started on a pair! Question: At what point do you change colours for the heel? Do I start with my contrast colour at Row 1 for “Make heel flap”? PS: All your work looks beautiful! Hi Claudette! Yes, when you want to change colors, switch to your second color when you start to make the heel flap. I love this pattern! When the pattern is reading needle 1 and needle 2, I got a little confused. 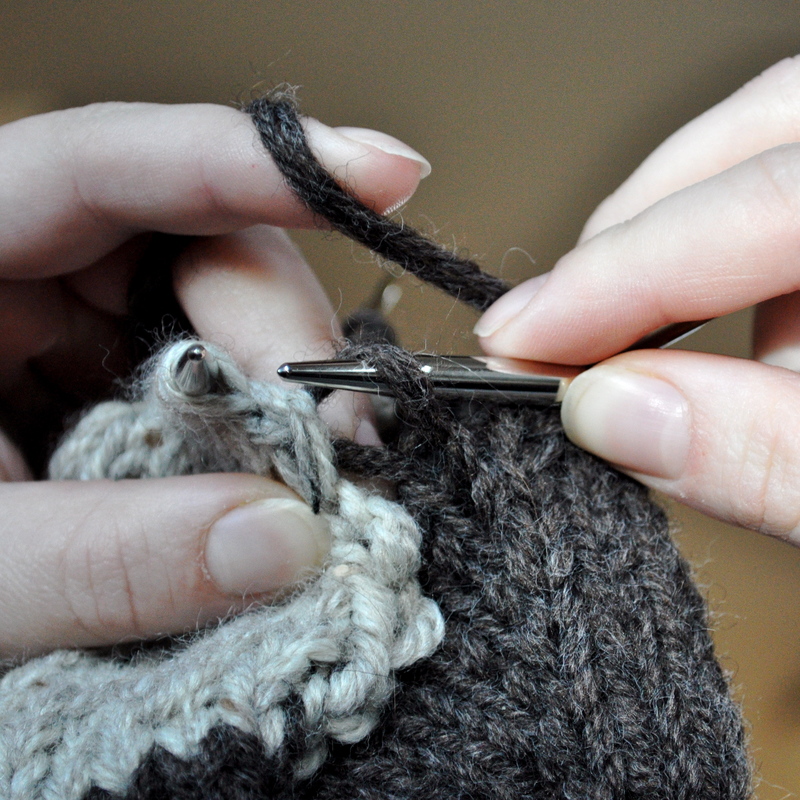 I will be on a circular needle so will I work one sock at a time. Hi! I’m glad you like the socks! 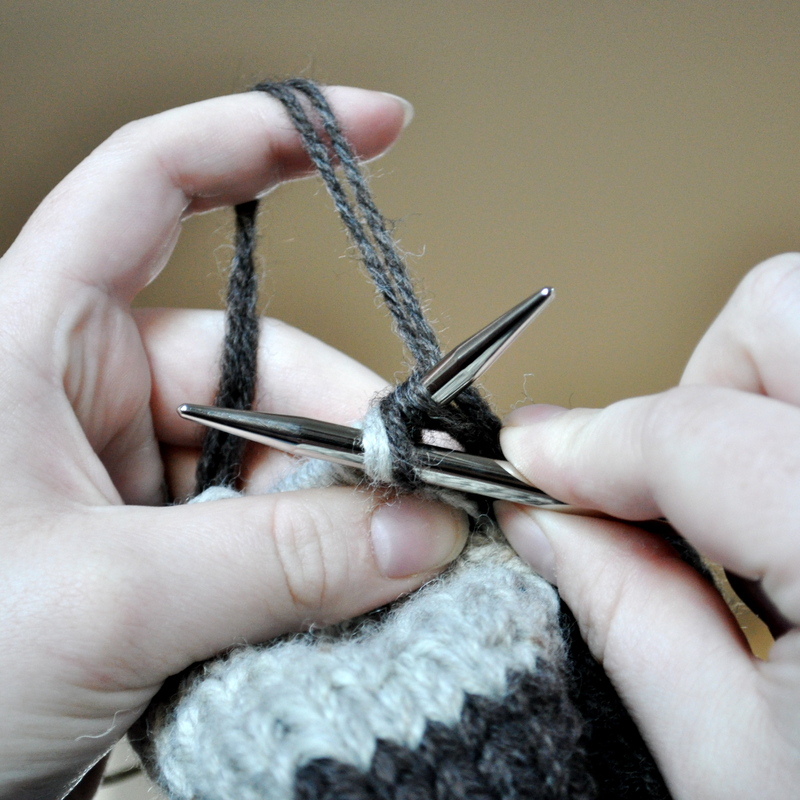 The pattern is actually written using the magic loop method, which is a way of knitting socks in the round using a circular needle instead of double pointed needles. Take a look at this tutorial if you are interested in trying it out (don’t mind the knit picks ads): http://www.youtube.com/watch?v=IdSpc0EZpnk . 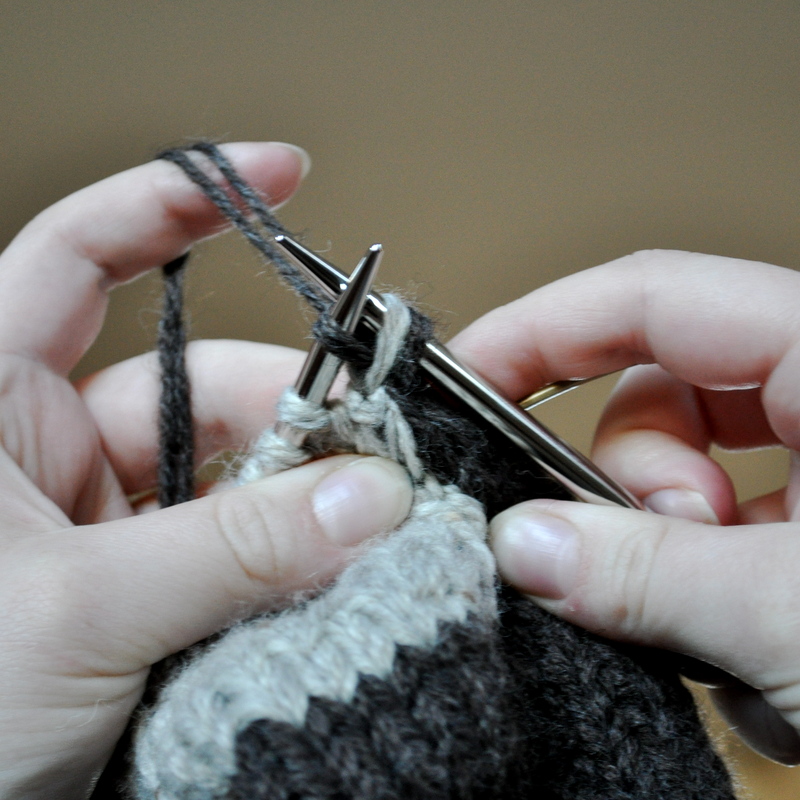 If you don’t want to try magic loop and prefer to knit on small circular needles in the round, you could place a stitch marker at the mid-point of the cast on stitches and just treat the first set of stitches as “needle 1” and the second half as “needle 2”. Hope this helps! Any chance you made a video? I am a noob at knitting and reading patterns. For the magic cast on, are we to cast on 14 stitches total or 14 on each needle? Is there a pattern for regular knitting instead of magic loop knitting for these socks? Thank you! 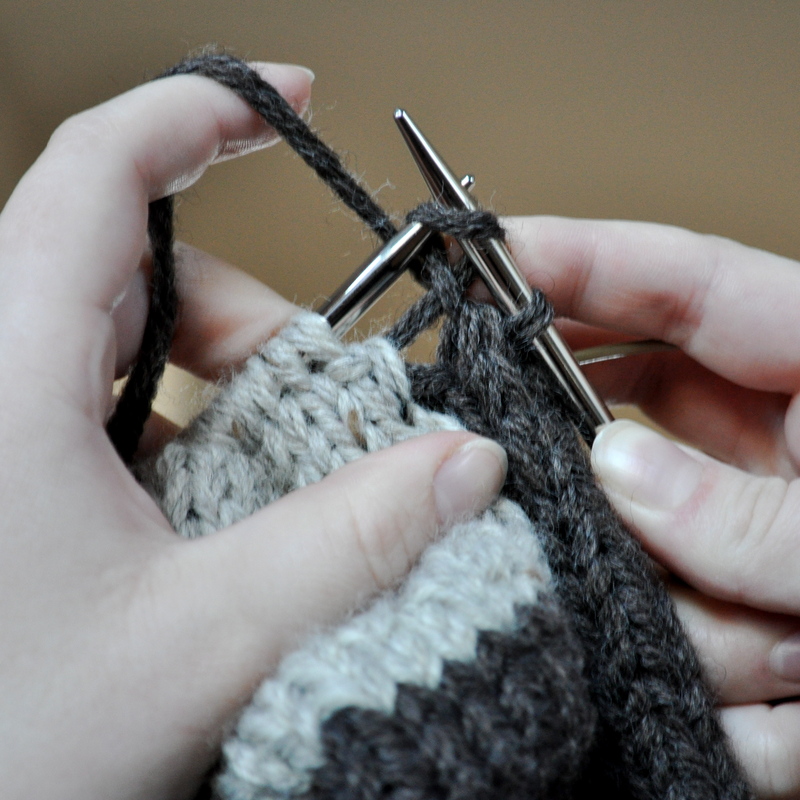 Love these – making them for my man and my son to keep them warm this winter – thank-you!